Hey many of you EAPs are not communicating enough. On LinkedIn, I ruffled a few feathers by saying the most important job you have as an Employee Assistance Professional is marketing, not counseling. It was a little tongue in cheek to make the point. 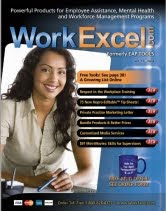 You must communicate monthly with employees in the work organization. It is pure marketing fact and theory. If you don't, you will lose top of mind positioning. Here is what you need send to employees in your internal newsletter that I hope you use for marketing. "If you think that the EAP only helps employees with mental health or substance abuse problems, think again. EAPs improve productivity by helping employees whose personal concerns affect their job performance. Also, EAPs do a lot more than simply acting as sounding boards. 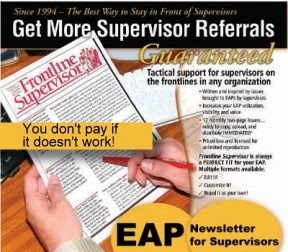 Think about the EAP when you need confidential help with job and career concerns, boss issues, co-work negativity, fear of job loss, difficulty pleasing management, needing to know more about how demonstrate leadership, severe teenager issues, health resources, making a tough decision, difficulty finding time for yourself and work-life balance, arguing too much with a spouse or loved ones, inability to make ends meet, financial concerns, eldercare matters, workplace-adjustment challenges, workplace-relationship issues, or finding helpful resources in the community. If in doubt about whether the EAP can help with an issue or concern, be sure to ask." Deliver this message and your utilization will increase. 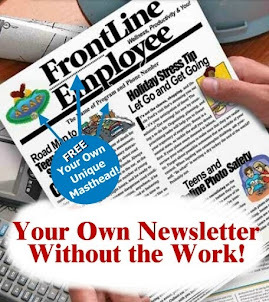 If you are interested in getting an EAP newsletter or just trying one out, go here and use FrontLine Employee for three months..let me know how it goes.